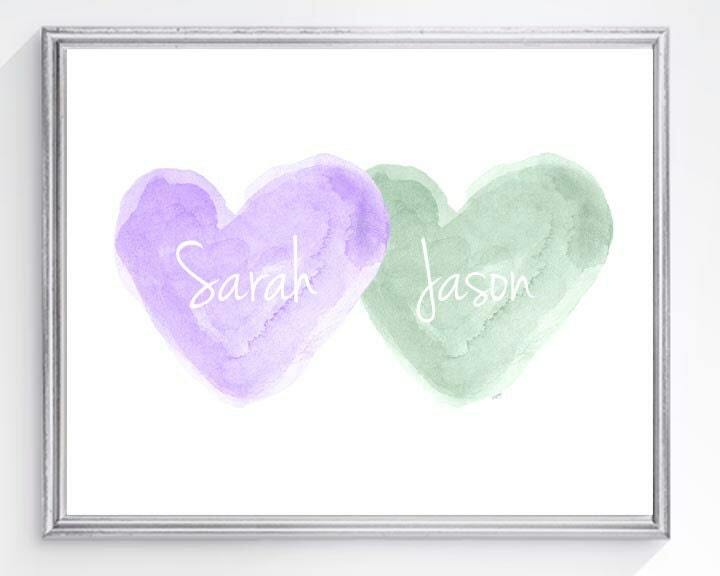 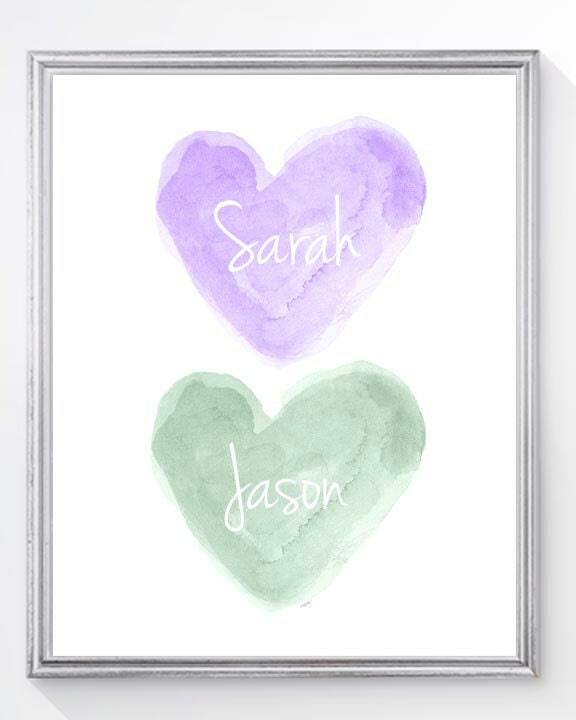 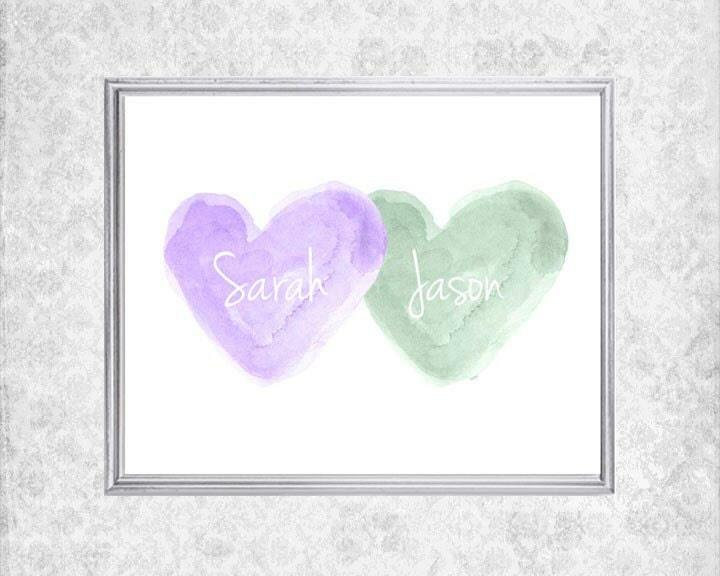 Personalize my pretty lavender and mint watercolor heart print with your special names. 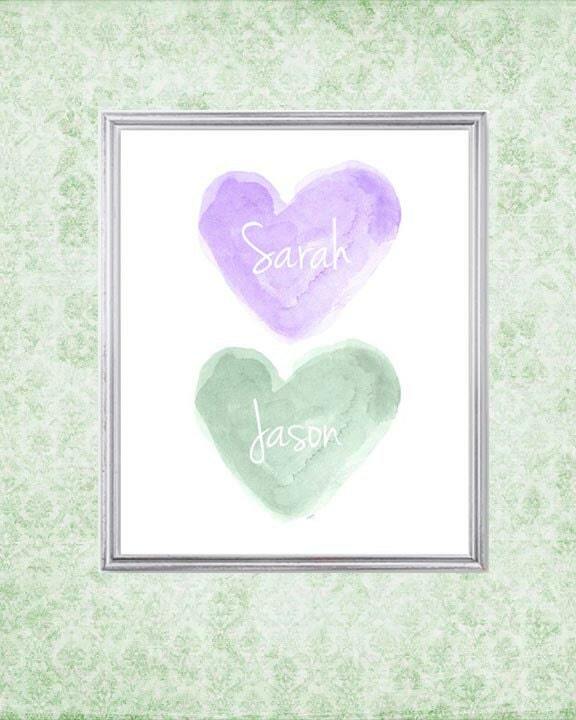 Perfect for your purple and mint nursery design. Created from my original watercolor heart paintings. 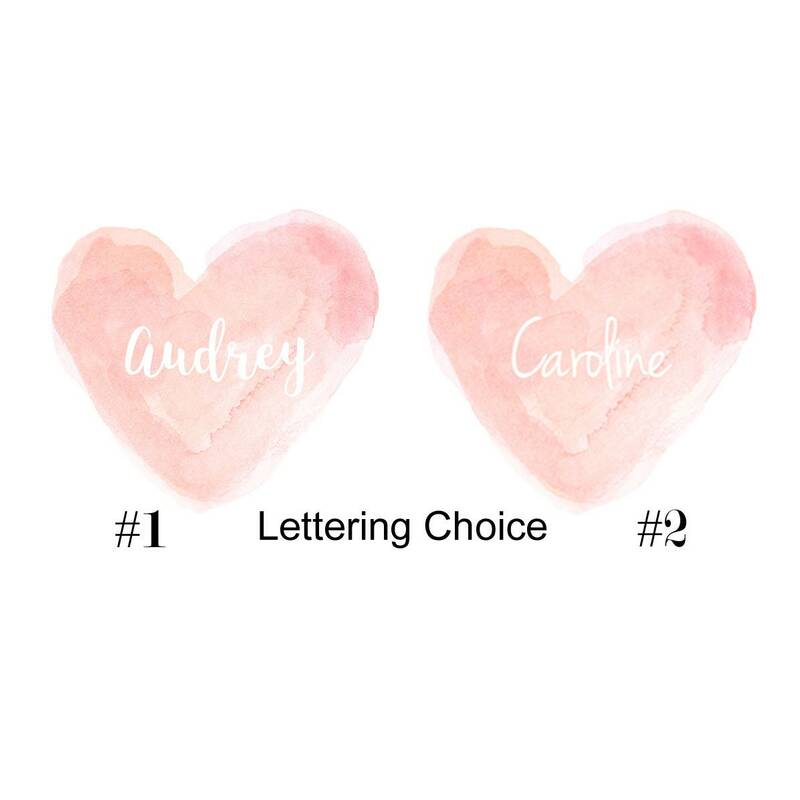 Please include the names for each color in notes to seller at checkout. 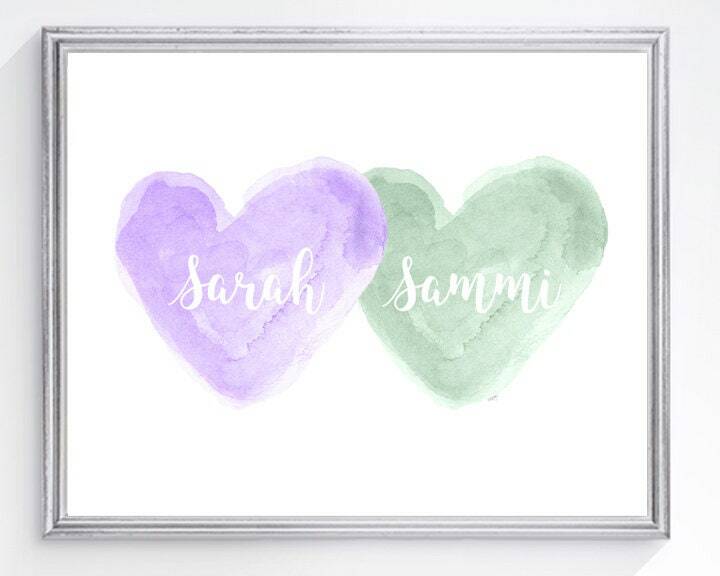 If you prefer 11" x 14" just let me know and I will make you a listing.